Trafford’s provision for vulnerable pupils is exemplary but their existing secondary school was heavily over-subscribed on a tight site. 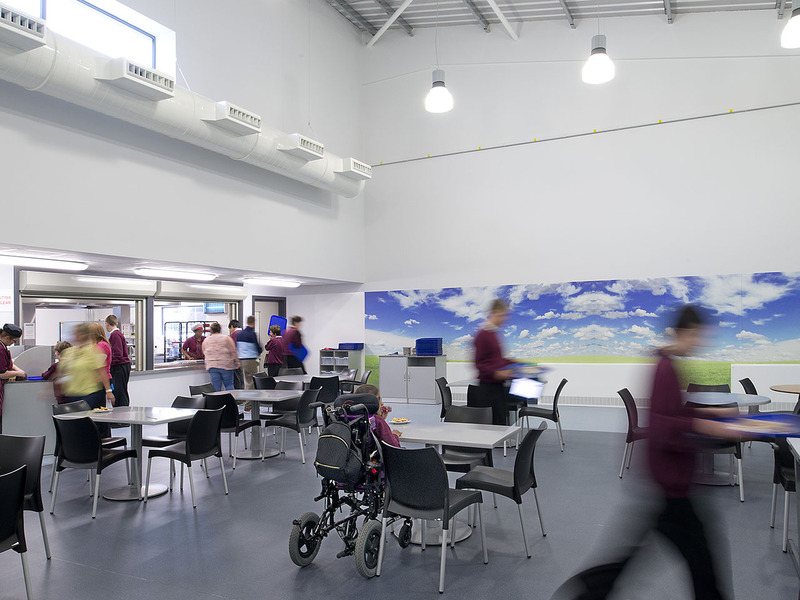 We delivered a state-of-the-art school for pupils with profound and multiple learning difficulties (PMLD) and with Autism spectrum conditions (ASC) aged from 11 to 18. 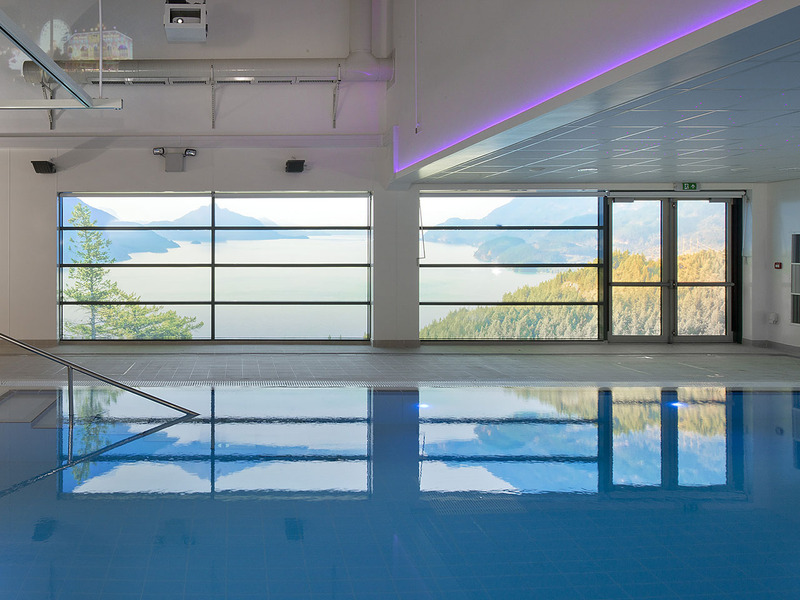 The school had raised their own funding for a hydrotherapy pool, so the single storey building, which echoes in plan the logo of a ‘Helping Hand’, has four wings for assembly hall, dining and hydrotherapy, A PMLD wing, ASC wing and community college with outreach facilities as Life Skills room. Secure gardens between the fingers act as stress relievers for ASC pupils, and spaces for further play, together with a MUGA and a ‘trike track’ which allows pupils of all abilities to compete with a selection of foot or hand powered tricycles. 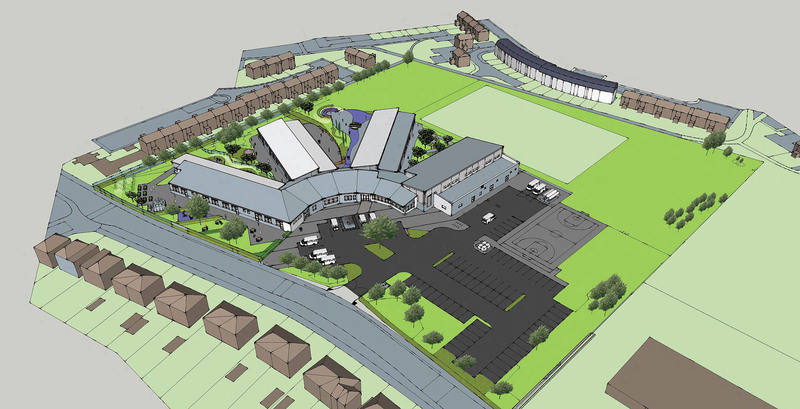 The school is already seeking to expand, and is the hub for Trafford’s Special Needs provision.